Above: King Edward VI of England. July was usually a joyous month in early modern England. Before the advent of the Protestant Reformation, communities across the country participated in joyous summer pastimes that included village ales and games on the green. Edward VI's Reformation, of course, had swept away remnants of England's Catholic past. Yet, to those who remained superstitious, if the weather was anything to go by the early days of July 1553 were not fortuitous. Unseasonably chilly weather augured ill for the welfare of a kingdom that was already precarious. Those in the capital would have been privy to vague reports circulating of King Edward VI's alarmingly 'thin and wasted' condition. Although modern historians have convincingly dismissed the traditional view of Edward as an individual that was sickly from birth, forever close to death, it cannot be denied that the last year of the teenage king's life was agonising and painful. Early in the year, the king had fallen ill with a fever and cough that worsened with the passing of time. The imperial ambassador reported: 'He suffers a good deal when the fever is upon him, especially from a difficulty in drawing his breath, which is due to the compression of the organs on the right side'. Although the king's health briefly improved in April, by June his doctors were openly voicing doubts that he would ever recover from what they called 'a suppurating tumour'. Edward's legs became so swollen that he had to lie on his back. He allegedly informed his tutor John Cheke: "I am glad to die". The end, when it came, came suddenly. Between eight and nine pm on the evening of 6 July at Greenwich Palace, the fifteen-year-old king's fragile life drew to a close. The martyrologist John Foxe later stated that Edward died in the arms of his Chief Gentleman of the Privy Chamber, Sir Henry Sidney, to whom he whispered: "I am faint, Lord have mercy upon me, and take my spirit". Historians have debated what it was that the teenage king died of. The Venetian ambassador had opined that Edward's cause of death was tuberculosis, a view which historians have generally agreed with, although Loach suspects that he may have died of acute bronchopneumonia, which led to a 'suppurating pulmonary infection'. Above: Lady Jane Grey (left) and Mary Tudor (right). Several months earlier, in his "Devise for the Succession", Edward had stipulated that the crown was to pass to the male heirs of Lady Jane Grey, his cousin. As his health increasingly took a turn for the worse, and it remained apparent that Jane would not bear a son anytime soon, Edward altered the wording so that Jane herself could succeed him as queen following his death. Consequently, she was proclaimed queen in the aftermath of Edward's death. Four days after her cousin's passing, she travelled to the Tower of London in preparation for her coronation. It never occurred. Supported by the majority of the former king's subjects, Mary Tudor successfully took the crown and declared herself queen. On 19 July Mary was proclaimed queen by the Privy Council, and she was eventually crowned in October of that year. Edward VI was king of England for only six years. Given his age upon succeeding to the throne, power was concentrated in the hands of the Privy Council and, more specifically, Edward Seymour, earl of Hertford and later duke of Somerset. Upon Somerset's fall from grace, the earl of Warwick (later duke of Northumberland) wrested control of the Council and was virtual ruler of the country until Edward's untimely death. Historians have debated whether it was Edward or Northumberland who masterminded the "Devise for the Succession", but more recently, it has compellingly been demonstrated that it was the determined king who commanded that his cousin Jane, rather than his sister Mary, should inherit the crown upon his death. In the end his wishes proved of no avail. 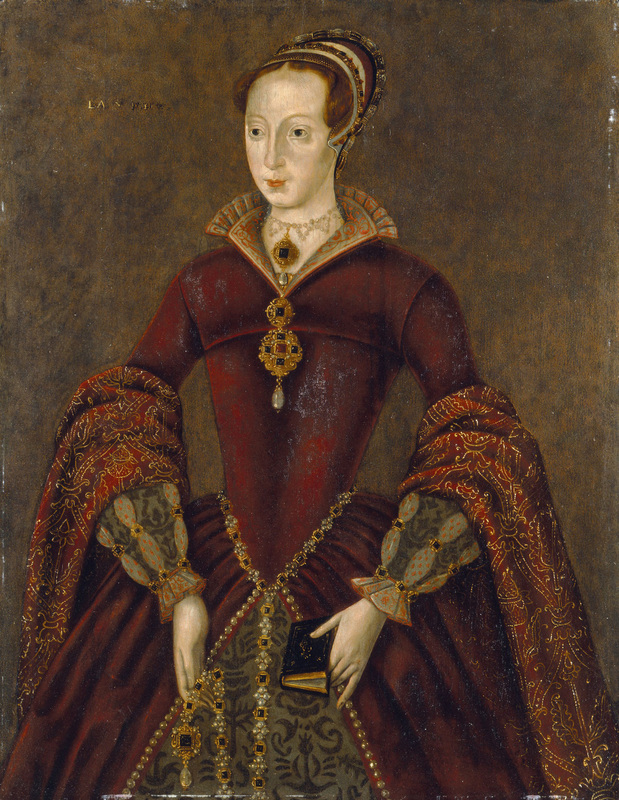 Mary became queen and the teenaged Jane was executed alongside her husband in February 1554. Edward's reign is best known for the intensity of the Protestant Reformation. Had he lived longer, and wielded power himself rather than being controlled by the likes of Somerset and Northumberland (as he would have done in time), then Edward's reign might be remembered very differently. Instead, he remains one of the more shadowy of the Tudors, a boy king who died before his sixteenth birthday.